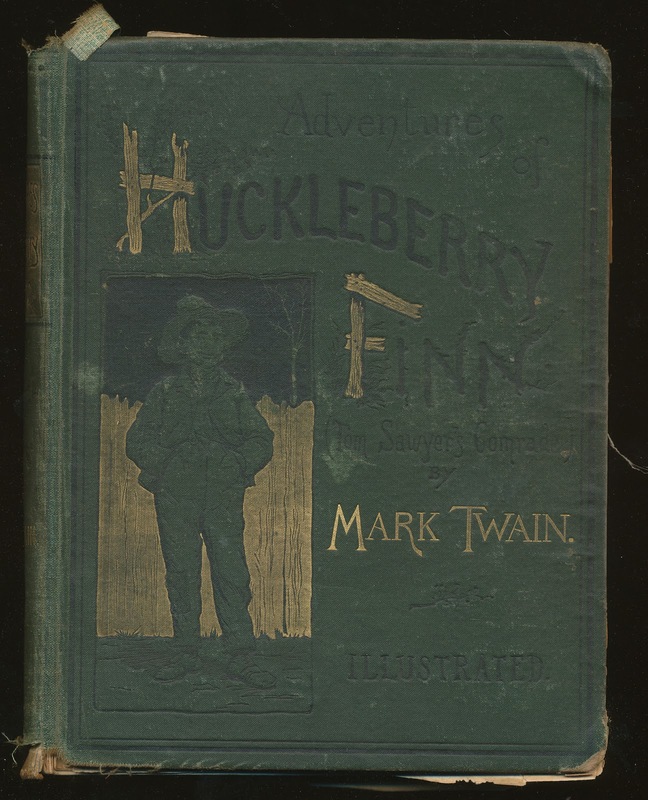 I always like to share the neat things that come through the shop, this one was particularly amazing - the first edition, first printing, first state of Twain's classic "Huckleberry Finn" from 1885. Too bad about the condition, though. 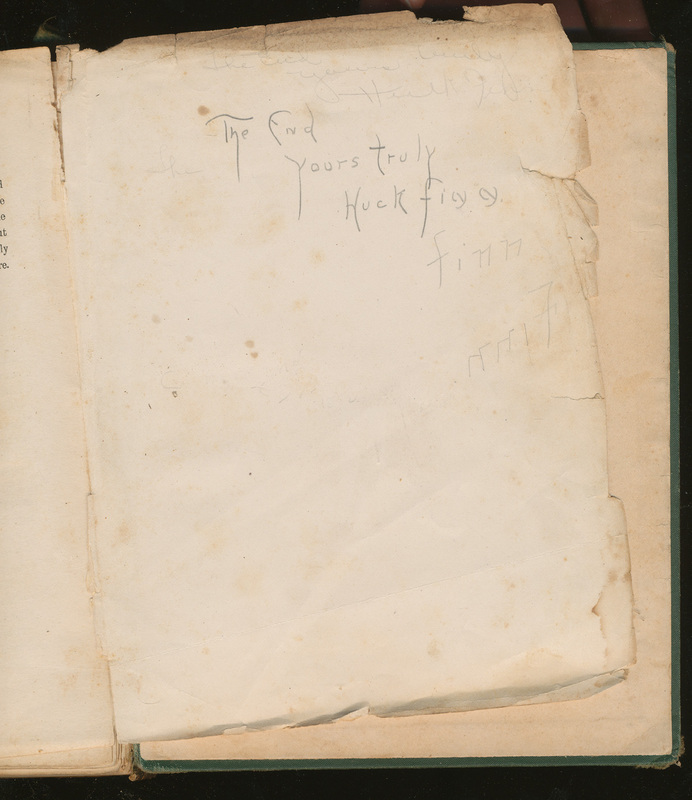 Still, a book in that condition says it has been around, perhaps read a lot, at least handled a lot, which to me says more than a pristine cover.